Track Bobblehead Trophies. 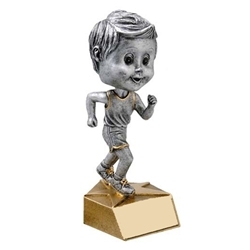 These track trophies measure 6" tall and are available in male or female versions. A fun way to recognize that special accomplishment.